The union carpenter found out he had won while he was sitting in his truck. When he saw all six numbers had matched he had to check twice just to be sure he had not made an error. There is no information on whether he discovered he was a winner last year and waited 5 months to claim his prize or if he just found out. Either way he receives pretax amount of $2,500,768. 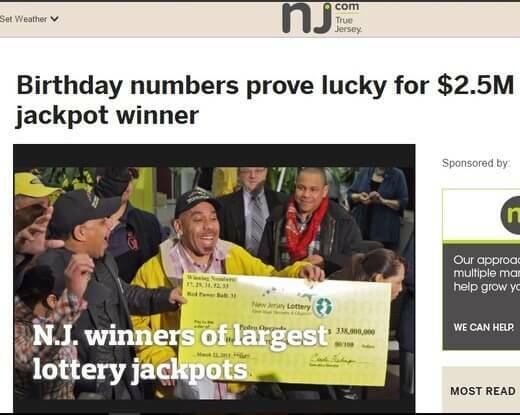 He bought the lucky Pick 6 ticket from the Discount Liquors on West Grand Avenue in Rahway.